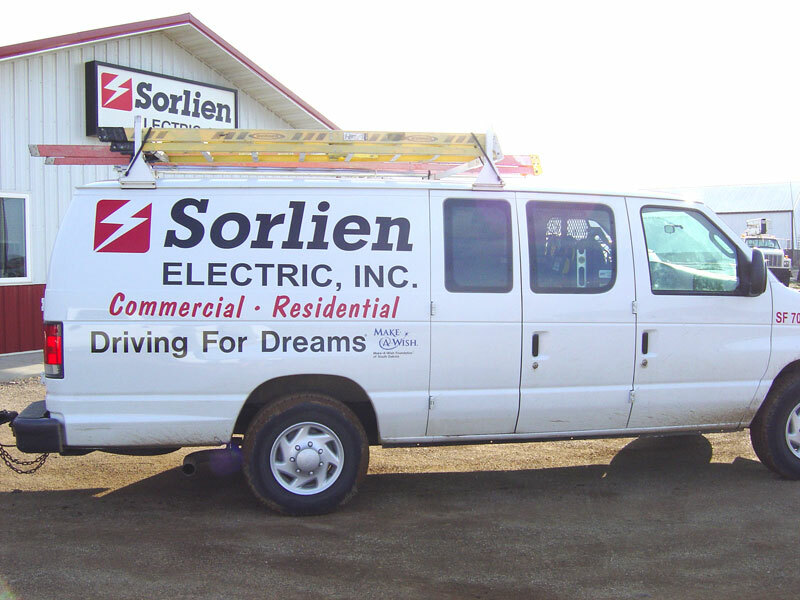 Sorlien Electric is a full service, family owned and operated electrical service and repair company servicing the Tri-state area of South Dakota, Minnesota, and Iowa for over 30 years. We are dedicated to providing our clientele with prompt, courteous and professional service – all at competitive pricing. We offer a wide variety of affordable residential and commercial electrical services, as well as lighting design services. We are located in Tea, South Dakota, but our service area reaches far beyond that. We actively serve the Sioux Falls, Harrisburg, Brandon, Dell Rapids, Centerville, Viborg, Brookings, Alcester, Dakota Dunes and surrounding communities. We also serve communities in Northwest Iowa. No matter what size, your project will benefit from our team approach. Our estimator/project managers use the latest computer-estimating equipment, and our field supervisors oversee a workforce of 50 to 60 electricians with the capability to increase manpower if needed. 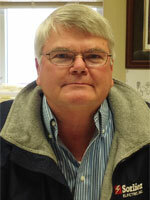 Sorlien Electric’s President, Tor Sorlien, founded the company in 1984. Tor has a simple and clear business philosophy that has helped set Sorlien Electric apart: “Treat people the way we want to be treated.” Tor oversees the daily operations of Sorlien Electric and creates design-build estimates for clients. He currently holds Contractor’s licenses in the states of SD, IA, and MN and has a Master Electrician license in the city of Sioux Falls. Tor and his dedicated team continually strive to provide the best service possible and work every day to exceed client expectations. 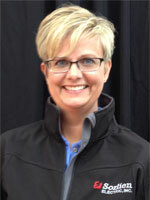 Amy joined Sorlien Electric back in 1994 and has played an integral role in the team’s success ever since. Currently, Amy provides estimates, oversees projects, ensuring a timely and efficient completion. Over the years, Amy has gained expertise in nearly every phase at Sorlien Electric from electrical work, estimating and project management and final billing of each of her projects. 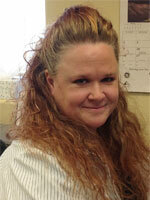 Amy also has a Journeyman Electrical License and has worked in the field for more than 10 years. Mac Sorlien, a journeyman electrician, joined Sorlien Electric in 1995 but began doing electrical work while he was in high school. As an Estimator/Project Manager, Mac’s goal is to make sure projects come in on time, on budget, and the customer is truly satisfied with the finished product. He appreciates the variety involved with his job and is grateful for the opportunity to build great relationships with developers, clients, and customers. As Business Office Manager, Wanda oversees accounts receivable, accounts payable and payroll operations for Sorlien Electric. She joined the company in 2003 and is a great resource to both clients and other team members. She enjoys all aspects of her job, especially the opportunity to work with her co-workers who she considers to be like family. 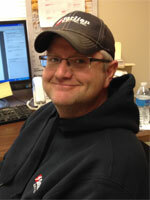 Angela is the Lighting Specialist at Sorlien Electric, having joined the company in 2013. She has a wealth of knowledge about interior and exterior light fixtures and helps clients pick out light fixtures for their home. 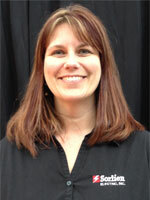 Angela enjoys working with each client to successfully meet and exceed the expectations for their lighting needs.